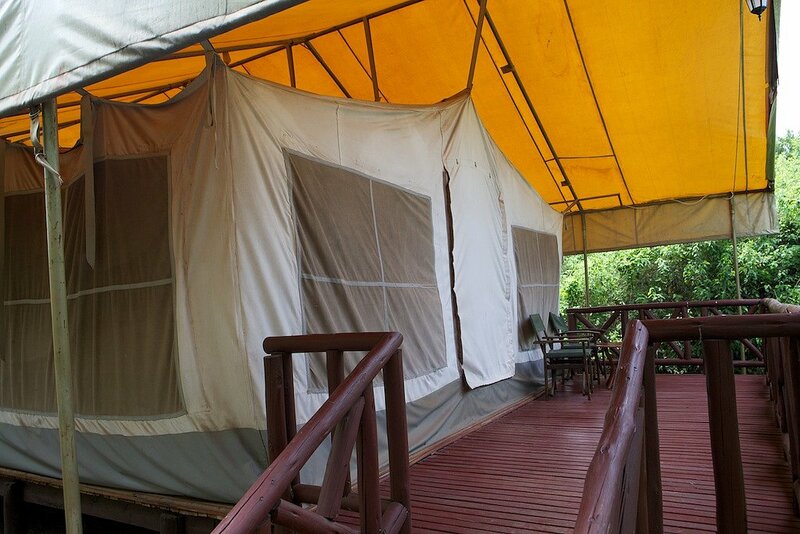 Our safari campsites have varied a lot from one area to another. 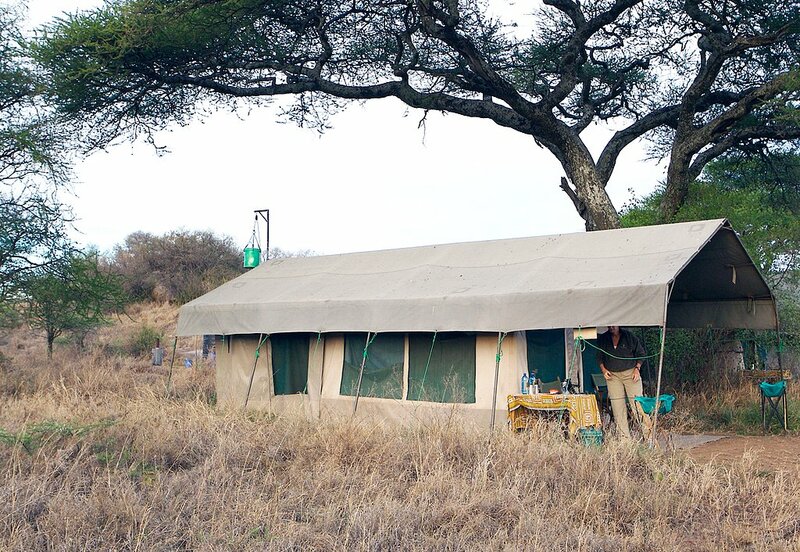 Our Serengeti Tent: rough but exciting! 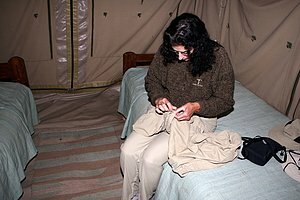 Our tent in the Serengeti of Tanzania was one of the more basic accomodations of any of our safari trips. It was really an advantage though as we were really close to the animals! In fact late one night a pride of 22 lions surrounded our tent. What an adrenaline surg! You're safe as long as you say in your tent. 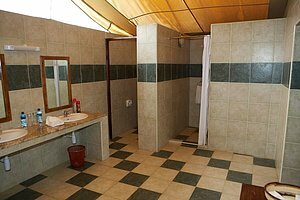 Please note that most African safari areas have a variety of facilities to chose from. Cots on the ground! But nice cots. 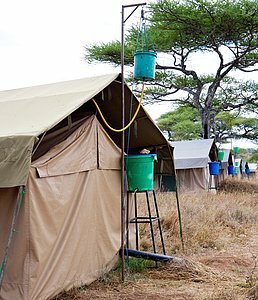 The hot water was poured into a bucket and elevated to create a shower at an inside corner of tent. Of course you had shout out when to raise it and then you had 90 seconds to shower! 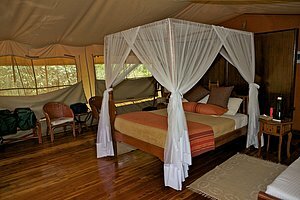 Our Masa Mara tent in Kenya: luxurious! Luxurious! Hard wood floors, king size bed, wet bar, tables, electricity, etc. Outside, a beautiful pool and jacuzi and a fine "tented" sit-down dining facility. In the back of our tent was a fine bathroom with granit vanities, shower and hot tub (not shown). This was without a doubt the finest "tent" facility I have ever stayed in!